89) If Soraka cursed Warwick, due to his evil nature which turned him into his wolf-form, why didn't she curse all the other bad guys in the League of Legends? She could turn Karthus into a puppy, or Vladimir into a fairy ... oh, wait. 90) What's wrong with Urgot's face? 91) Has Zilean ever considered rewinding his microwave when his food was still cold? 92) When Ragnarok occurred in the Norse mythological legends, did a viking actually scream "DEMACIA!" while rushing into battle? 93) Why is Gangplank allowed to fire his ship's cannons into the battlefield. That's cheating, since it's technically not one of his own abilities, but rather a third party assisting. 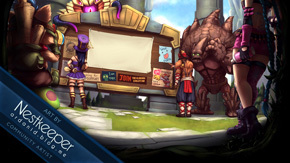 94) Was Trundle, as a character, simply designed as a "troll" so he could ironically use the line "It's time to troll" in the character selection screen? 95) Should we allow BossAfroAmerican to post his creepy fanfiction? Garen stumbled into the western chamber, still struggling to think of what he could say to make this better. A war of swords is one thing. Garen could win any armed confrontation. But words were different. A poorly placed word could do the damage of a thousand swords. He could apologize. Would that be a sign of weakness? They didn't like weakness. A sound made him turn around, hand gripping the hilt of his sword. There, behind him, stood none other than the master of metal himself, Mordekaiser. A towering colossus of steel and shadow, burning read eyes bearing down on Garen. "You're late" boomed a thunderous voice from deep inside Mordekaiser's armor. Garen was silent, returning his stare. What could he say? All of his planned responses now seemed inadequate. "As I expected." said Mordekaiser, finally. "You offer no excuse, no apology. Your 'Demacian code' requires that you remain steadfast and firm, does it not? It protects you well when you thrust forward into the frey. You don't even bend in the slightest, even if it means hurting one you care for." "Perhaps that is what I find so attractive about you." Mused the Master of Metal. Garen was surprised. It didn't show. "There's little I find more appealing than rigidity and inflexibility, even in the most intense heat. Like metal." 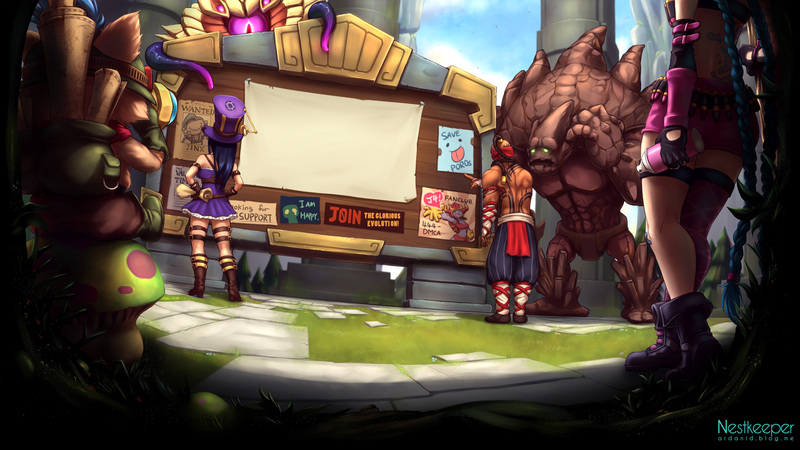 Garen imagined Heimerdinger would have something to say about that. He would later gank the mutant yordle for his imagined transgression. "I'm starting to think you did this on purpose, to remind me that you are the one in charge here... Tonight, it seems my soul will be your slave, instead..." Mordekaiser chuckled deeply. Oh FFS, don't make me post chapter 2. 96) Why is a distinct lack of a "Notorious G.R.A.G." skin for Gragas? 97) Should there be a "Taric Shakur" skin to go with it? 98) What about Old Dirty Swain, or Karthus-Face Killa? 99) When will there be a "36 Chambers of Xin Zhao" skin? 100) Is there any hope for a Nunu skin that is the RZA and the GZA? 101) Is Morgana's baking skin enough to constitute her being Raekwon the Chef? ****, we passed 100 questions without getting any answers. 102) Will there ever be a Masta Killa Yi? 102a) If so, will everyone forget about him after the first week of release? 103) What company manufactures the Nexuses? Is the a horrible military-industrial complex behind the League? In all seriousness, that is as well written as any romance novel. Understandably, they are not necessarily well-written, but still, not bad.